Now, I’ve been semi on the hunt for a black holo and I have ended up with some very disappointing ones. They always ended up a bit brown colored or a charcoal grey. 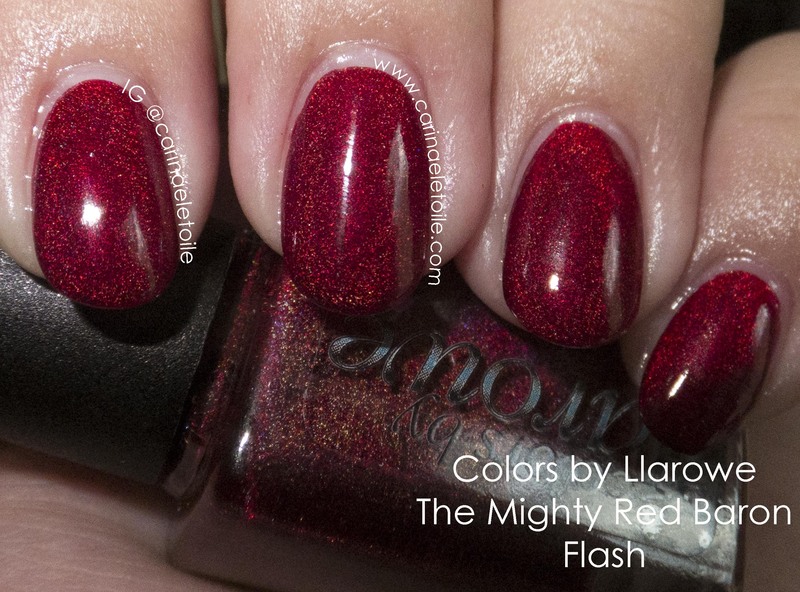 Colors by Llarowe Burnout was not what I expected! 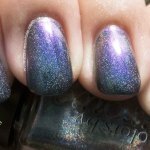 This is one of the blacker, darker holos that I’ve seen and used. 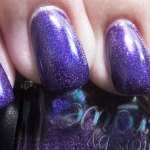 If the base is pure black, the holo tends to be scattered and a glitter holo. Therefore, in my eyes, not a true holo. 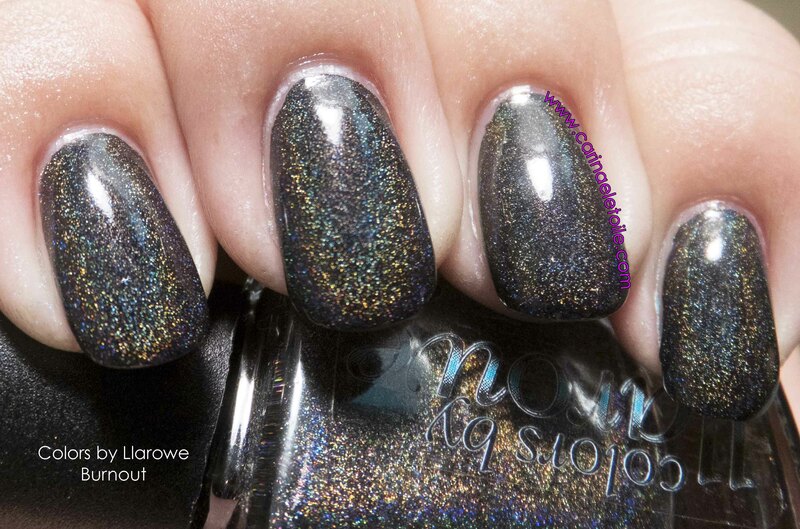 Colors by Llarowe Burnout is darker than charcoal grey and is not quite black, but it’s black enough…and the holo is simply sublime! 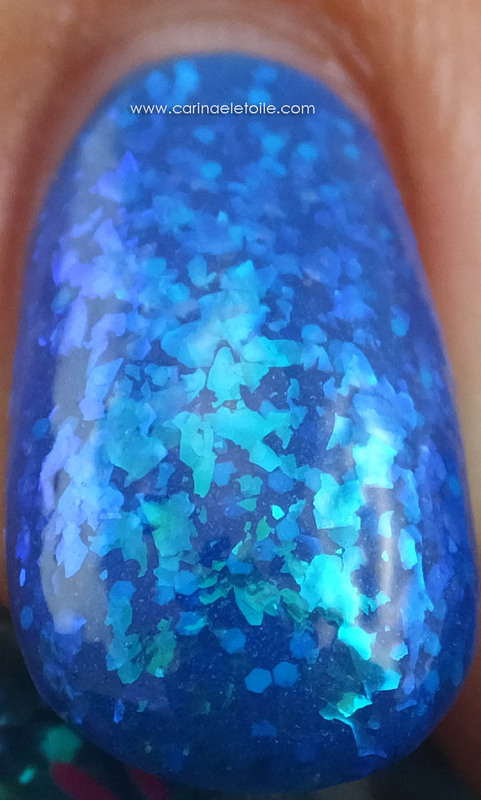 I used two coats and found that it is semi self-leveling and dries a bit matte and is also fast drying – it’s still a smidge shiny so I’d say it’s akin to a candle wax finish. I put on a high gloss top coat and it became nice and shiny – the way I like it. Flash shot starts to bring out the holo. 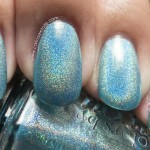 Direct Light shows the goodness of the holo. It’s nice and strong, wouldn’t you agree? Like the other colors of the Race Day collection, Colors by Llarowe Burnout is a limited edition that was produced in a limited quantity. You’ll have to troll storenvy if you want a bottle. Thanks for making it this far and I hope you liked what I’ve shown.